Apologies for the lack of posts lately I have become slightly addicted to Pretty Little Liars (I am only on season 2, so much to watch!!). A few weeks ago we both took a Monday off work to go out and celebrate our anniversary, mainly for him putting up with me for 3 years! We went into the Dublin city centre for a stroll because the restaurant we wanted to go for lunch was crazy busy. I am always amazed how busy the city centre does be midweek! We went for a walk around St.Stephens Green Park and took some pictures of my outfit. I bought the faux fur coat in the airport last year in Madrid, I love it and really have to start wearing it more! My jeans are from Zara and you can find more information about them here, my boots I bought a few weeks ago from New Look, they are so comfortable and easy to walk in, link to buy here. My jumper is just a plain black one that I bought years ago in Vero Moda and love wearing it as it looks dressy and it is slouchy and comfortable on. 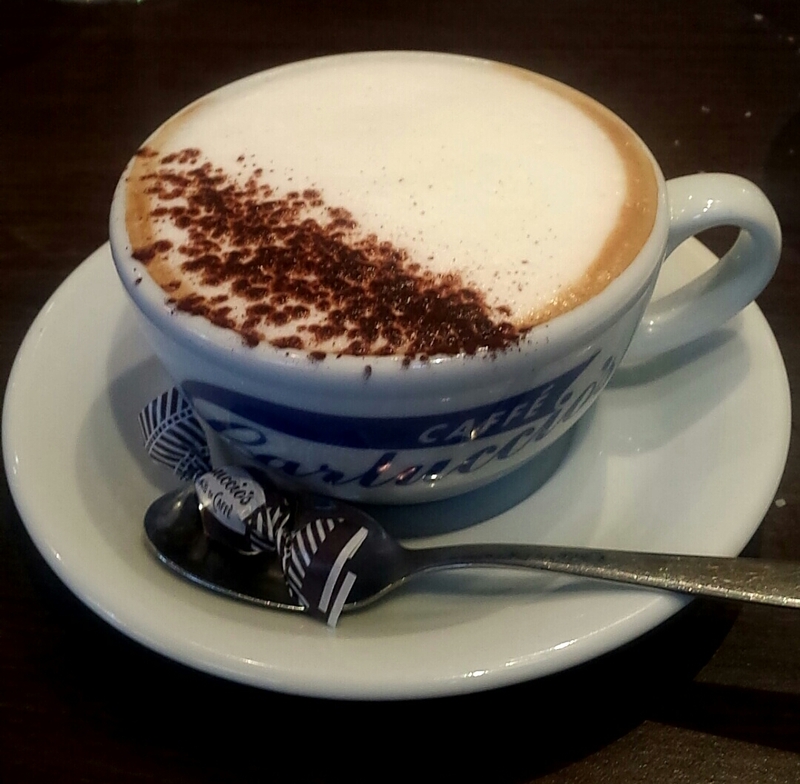 We then went to Carluccios for an amazing lunch! This was my first time going but from watching the Sacconejolys on YouTube going and walking by the window a few times we couldn’t resist. They have huge meringues in a few different flavours along with other desserts in the window. What can I say the food was gorgeous, we went to Sicily last year on holidays and it was just as good or even better. 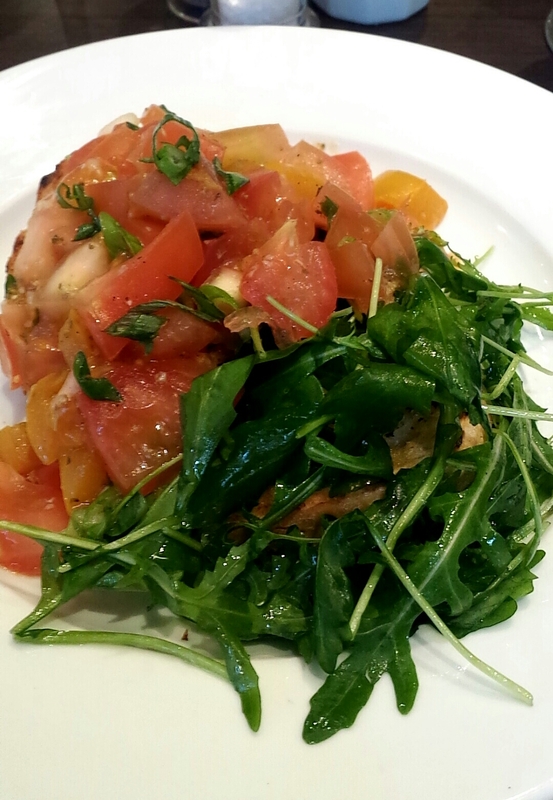 I got a bruschetta to start, they have so many different starters to choose from, and I was pretty happy with my choice. For mains, I got a really nice pasta dish it was called Penne Giardiniera. It has courgettes, chilli and spinach balls, cooked with pasta, garlic and italian cheeses. I am by no means a vegetarian but I can easily go out for dinner sometimes and order a vegetarian and not even notice. 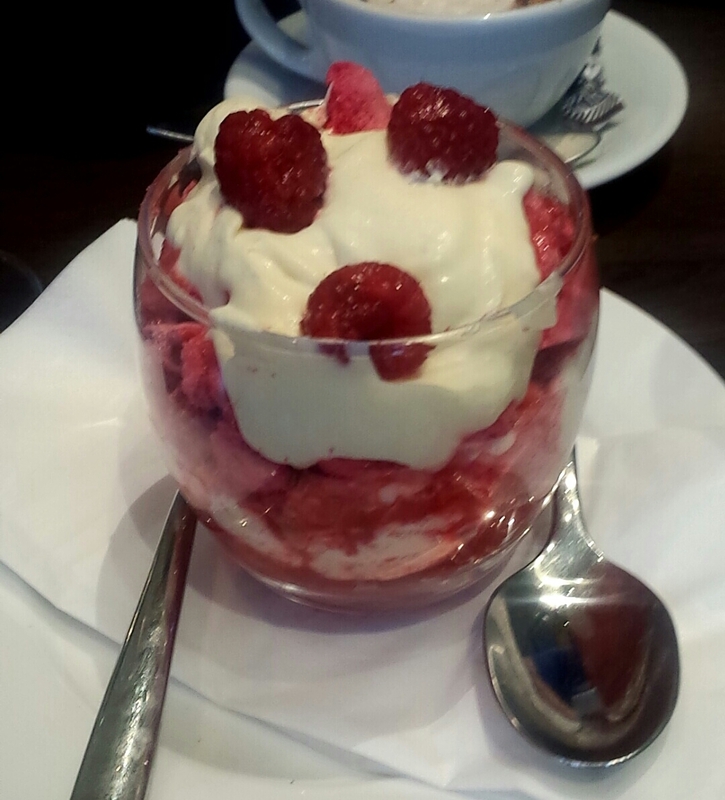 We had to try out the desserts even though we were both full after the two courses but when in Rome (Dublin)! We got the Meringa con Panna al Frutto della Passione, basically meringue, passion fruit cream, fresh raspberries and raspberry coulis. Click here to have a look and fall in love with their menu. This place is definitely worth a visit! !